Flannel Baby Blanket — Tandem Quilting Co.
Part of our new Spring Baby Collection, we are happy to introduce our Flannel Baby Blanket. They are so soft and dainty! Light gray backing and flannel on both sides. 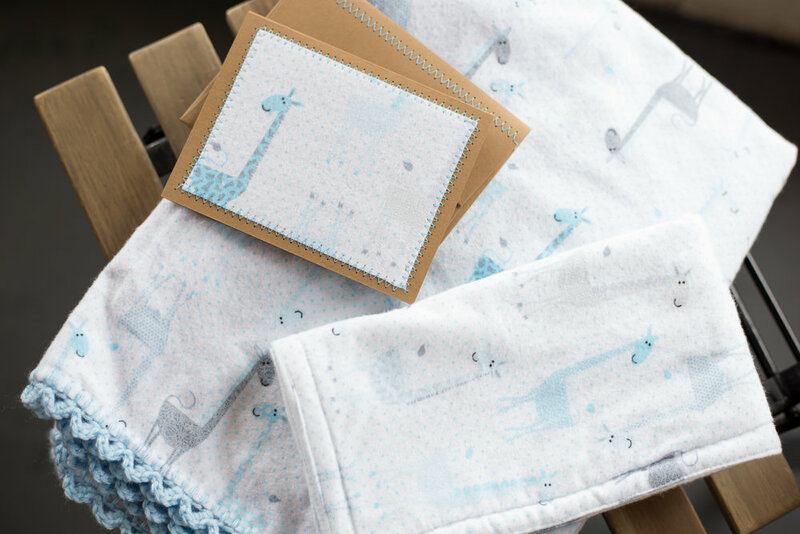 Add the Matching Flannel Burp Rag (10in x 19in) and Matching Card to Complete Your Gift! Get all 3 for only $15 more. Makes for a perfect and ready-to-go gift!